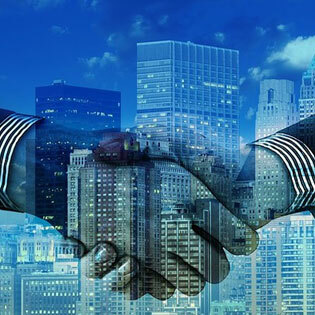 One of the most beneficial and effective methods for companies to grow is through mergers and acquisitions (M&A). Unfortunately, it can also be one of the most complicated. Gaining the capital and determining the upcoming needs for an acquisition is just the beginning of the process. When two companies combine the IT staff has to determine if the new company is using IaaS, PaaS or SaaS. Once this is determined there has to be a unification of services that benefits the existing company, as well as, the newly acquired company. The right cloud service provider, such as TOSS C3, can help with the integration process. The two companies have merged and things are going real swell, but new issues are coming in on a daily basis. The two HR departments are not on the same page about issuing pay checks. Obviously, HR, as well as IT, customer service, shipping, marketing, testing, development, and every other department have to be unified. The first step is to get all the data stored to a central location where both sides of the company can use it. Cloud service providers specialize in data storage, and they have the ability to transfer the data wherever it needs to go, quickly and efficiently. Now all you have to do is get the data interlaced and sent to both sides of the newly formed company. Cloud service providers that specialize in mergers can help with the data integration. The data integration process makes sure multiple managers are not calling the same customers, orders are not duplicated, and processes are coherent throughout the company. Cloud to cloud integration can be performed quickly, especially if both companies are SaaS based. Integration can also be performed on mixed SaaS, PaaS, and IaaS systems. It is important to remember that a single platform type should be used in the end. Resources and security can be compromised if multiple systems are used. • The flexibility to use as much or as little as you need on a daily basis. • Fully automated software updates. • Increased collaboration allowing documents and other forms of data to be accessed anywhere at any time. Let TOSS C3 provide you with the best solution for your needs.